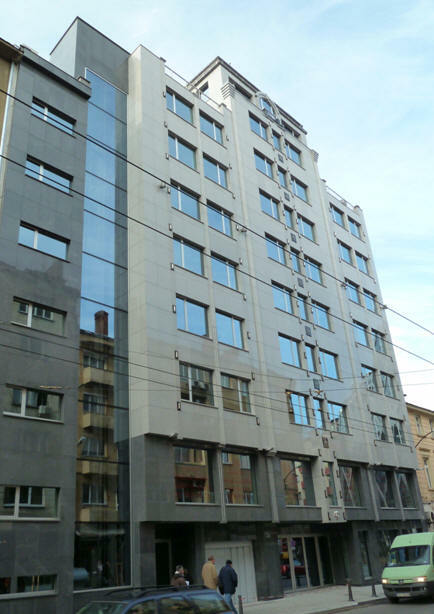 On our own plot of 827 m2, situated in the central part of Sofia, we build an office house with a total area of 6.910 m2, including two underground floors with storages and garages for about 51 cars. 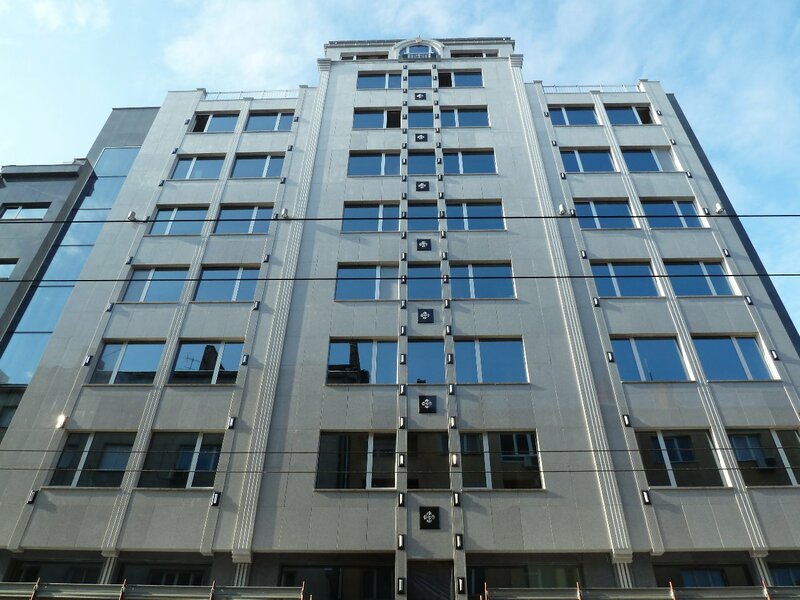 The architectural design is based on the late Secession style, with the aim of creating a building which harmoniously resembles the other houses on Rakovski street built in the 20s and 30s. Thus we have combined modern functionality with exterior aestketics, in harmony with the other buildings in this area. 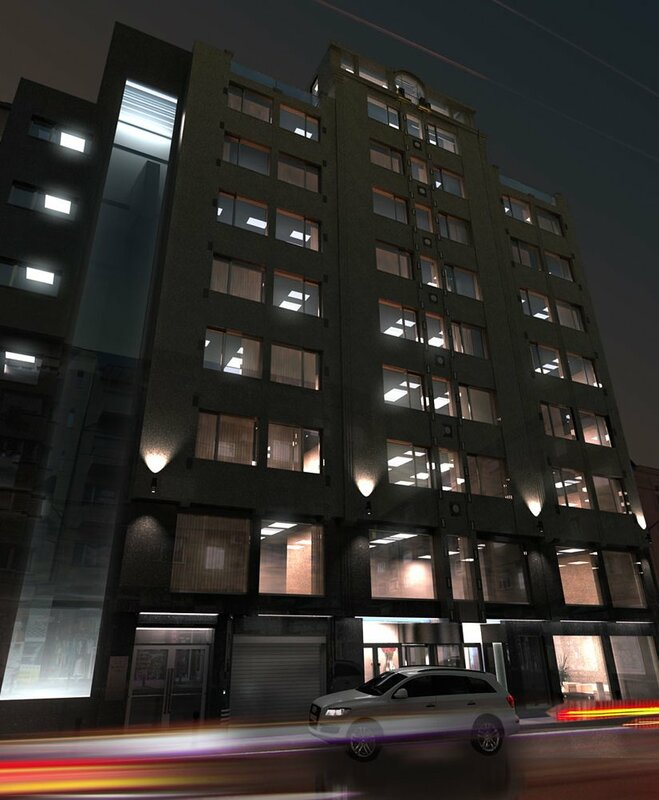 The building has a ground floor with shops, 9 office floors and 2 underground floors. 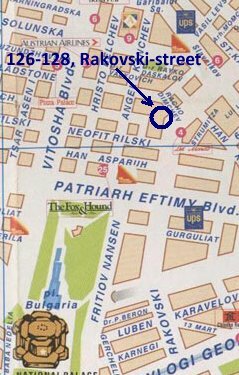 The floors are accessible via a common entrance from Rakovski Street. The basement floors are also accessible from Rakovski Street, by means of a loading platform for vehicles. There are technical areas and parking lots and for 51 cars. The granite facade is trimmed with pyramids and stylized clovers (resembling the Christian cross). 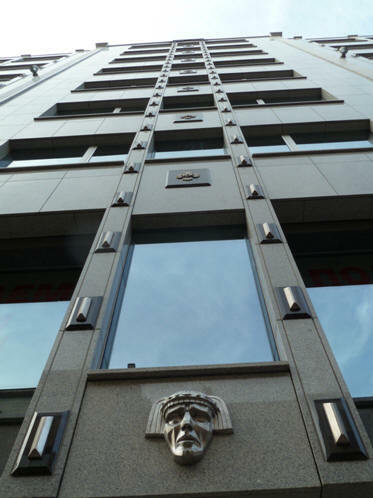 The latter have been made of titanium coated bronze in order to preserve the silver color which matches the color of the Aluminum window frames and the grey granite tiles on the facade, making the building look more gracious and distinguished. 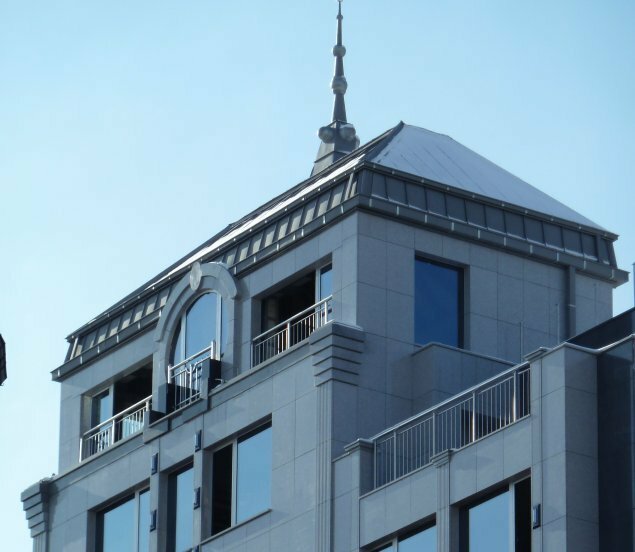 The tower section is built using typical Secession elements, similar to many buildings in Vienna, where this architectural style originated. A wonderful view of the city of Sofia, Vitosha mountain and Stara Planina mountain can be seen from this tower. The fa�ade windows are made of ALUMINIUM WINDOWS SCH�CO AWS 60 FOR EXTERNAL WINDOWS AND DOORS. Waterproof material will be installed along the perimeter of the window frames. Laminated glazing Stratobel 3.3.1. (shatter proofness) with Ug value = 1.3 W/m2K and light reflection v = 19 for optimal thermal and light comfort. A complete structural cabling system complying with the TIA/ EIA standard has been constructed in the building. The video surveillance system is based on IP technology and has megapixel quality. It covers the perimeter of the building and the common areas. 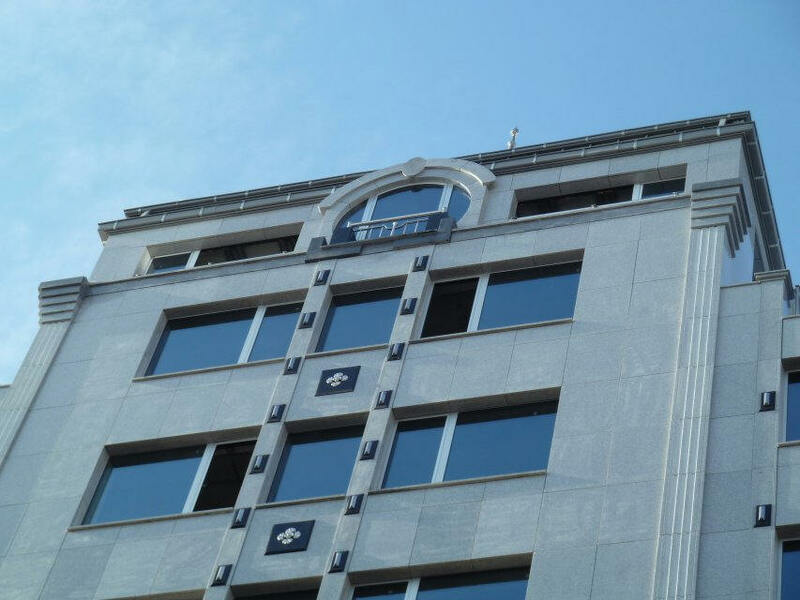 The Fire alarm system covers the entire building and is based on addressable fire alarm network. The access control system is based on noncontact cards and tags, and covers the technical areas, offices, emergency exits, and the load elevator � ramp. Individual measuring devices with consumption optimisation functions � heat/cold measuring unit, water meter; electric meter.